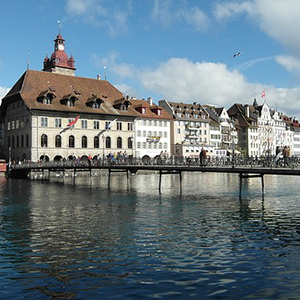 You’ll start your European vacation tour with a visit to gorgeous Lucerne, Switzerland. With services provided by Monograms®, you’ll have a Local Host® to arrange your sightseeing, free-time recommendations, and any other assistance you need during your 2-night stay in Lucerne. Enjoy a guided walking tour including the Lion Monument, Old Town, Chapel Bridge, the Water Tower, Jesuit Church, and a special highlight excursion to Mount Pilatus. From the German Black Forest of fairytales to the historic canals of Amsterdam, disappear in the magic of this Rhine River cruise with Author Diana Gabaldon. This cruise delivers you to the heart of Europe to explore all the towns and cities along the Rhine River while enjoying panoramic views and spectacular, castle-lined backdrops days and night. Board your Suite Ship and home-away-from-home in Basel, Switzerland before heading to the foot of Kaiserstuhl Mountain (on the French-German border) to find your gateway to Germany’s Black Forest. From there, set sail for Strasbourg, France with its ancient murals and astronomical clock, not to mention quaint shops, delightful bistros and waterfront promenade. 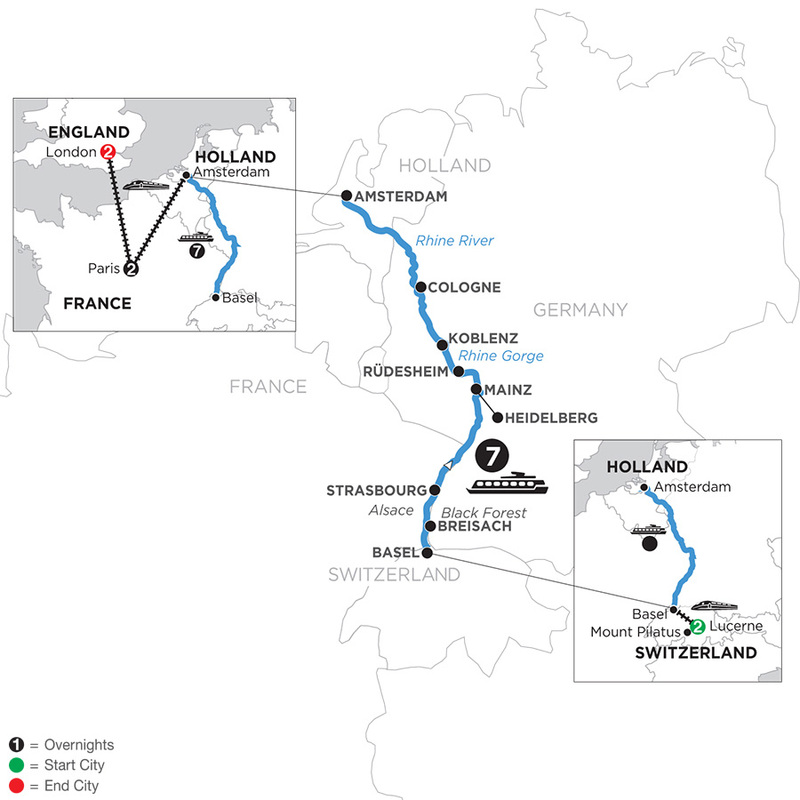 The journey continues through Germany with a visit to the ruins of Heidelberg’s castle, the charming wine town of Rüdesheim and, of course, an awe-inspiring pass through the dramatic Rhine Gorge – the most beautiful stretch of the Rhine where dozens of ancient castles tower over the river from cliffs that seem to touch the sky. The last stop in Germany is in the gothic city of Cologne. End this cruise with an exclamation point in the picturesque, canal city of Amsterdam with its world-famous museums and tilting, gabled homes that date back to the "Golden Age. Transfer by high-speed train to Paris to start your Monograms vacation package with 2 nights in "The City of Lights". Enjoy sightseeing with an expert guide, drive past the Latin Quarter, Les Invalides, Place de la Concorde, Eiffel Tower, and Arc de Triomphe and join a Seine river cruise. You’ll enjoy a guided sightseeing in England’s most famous destination, as well as free time to really get to know the city. Sightseeing includes Big Ben, Westminster Abbey, Buckingham Palace, and St. Paul’s Cathedral. Your Monograms vacation package includes the expert assistance of your Local Host® in both Paris and London. Your Romantic Rhine River cruise with stays in Lucerne, Paris, and London provides the perfect combination for a guided European vacation of a lifetime.